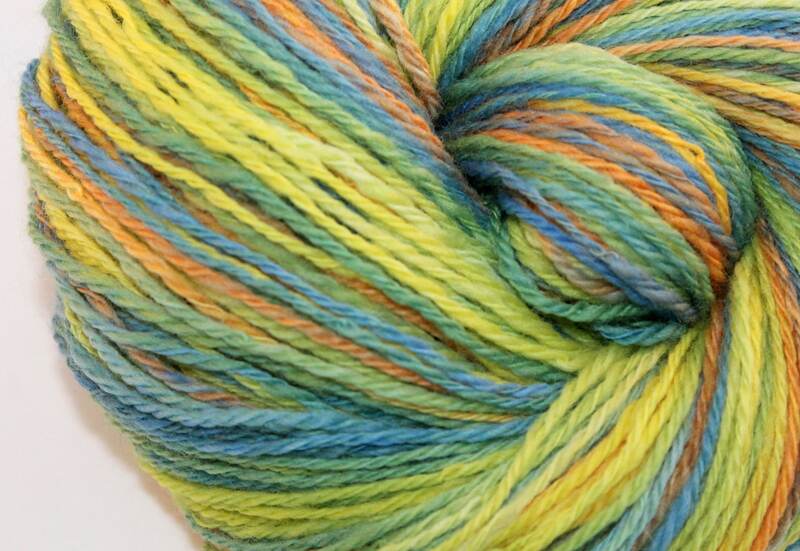 This skein of yarn reminds me of a Chameleon. 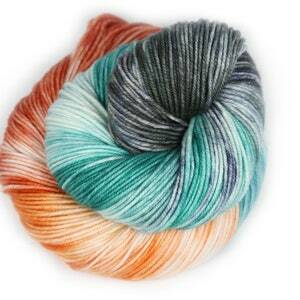 Some species of chameleons are able to change colors. Chameleons change colors to camouflage themselves or to give a social signal. 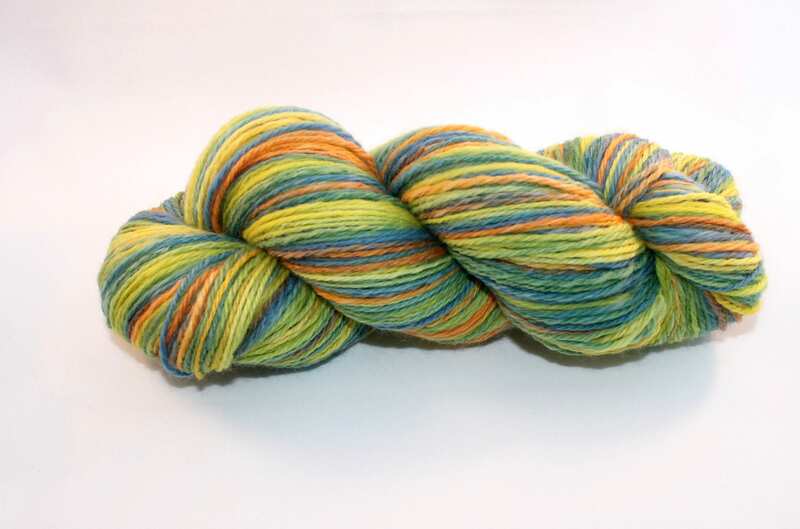 I love the way this yarn changes colors with the way I plied the yarn. 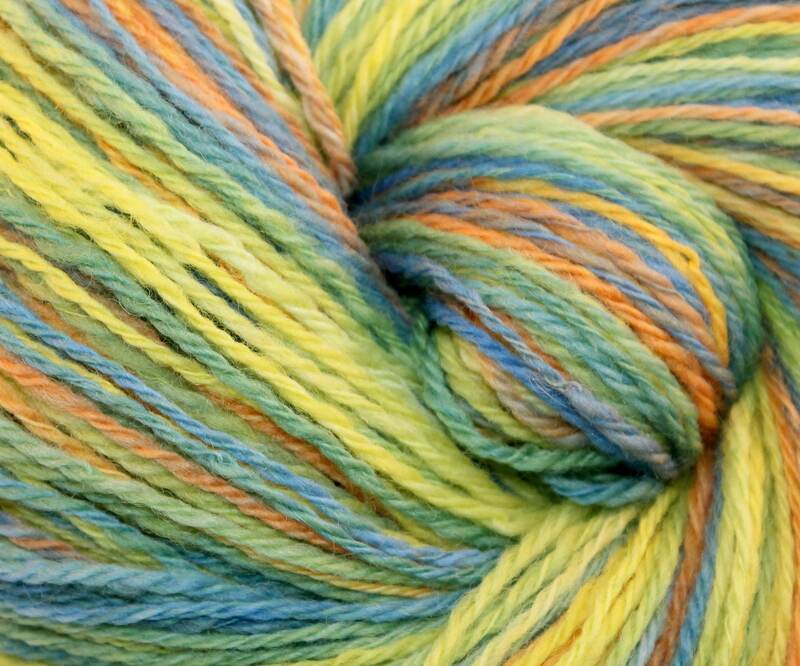 The colors in this yarn include blue, green, orange and yellow. 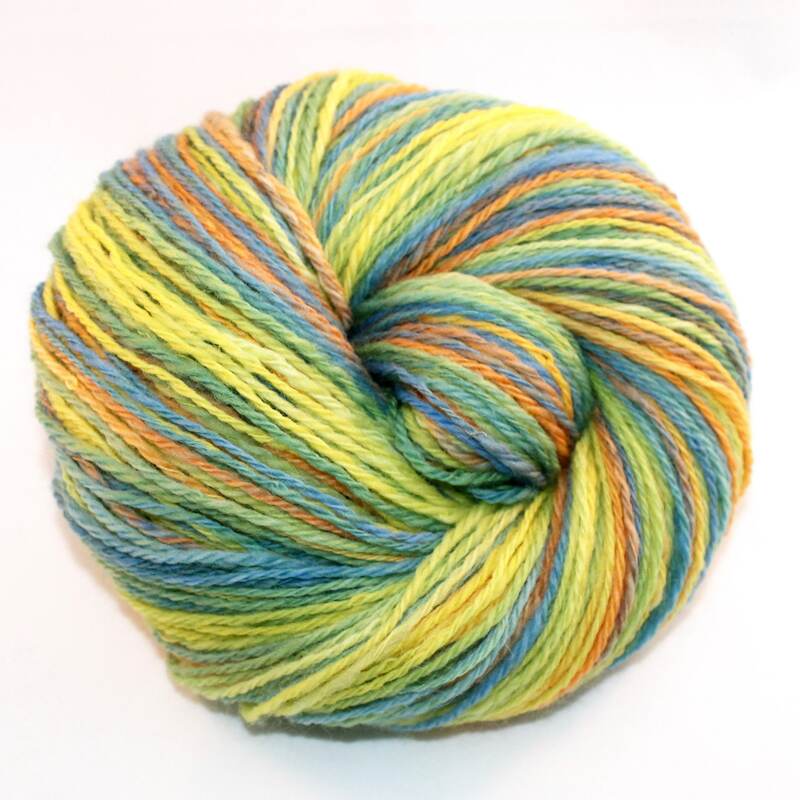 Here is a listing for a 3-ply skein of handpainted, handspun yarn. 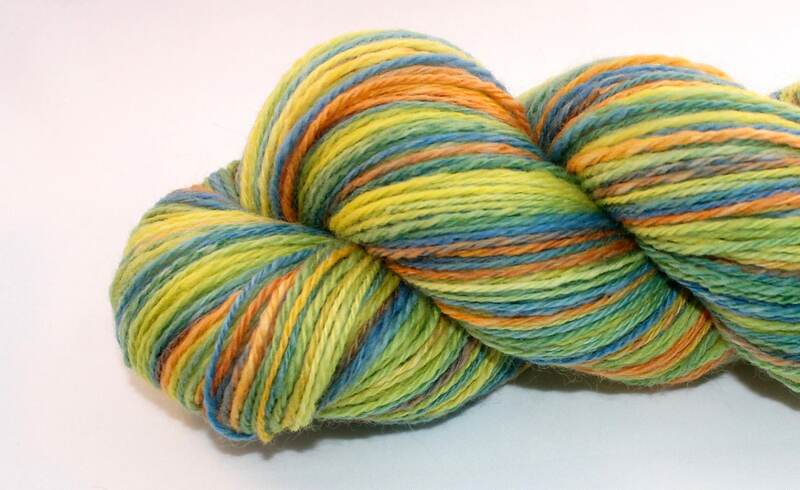 For this skein of yarn I used a Navajo ply technique. 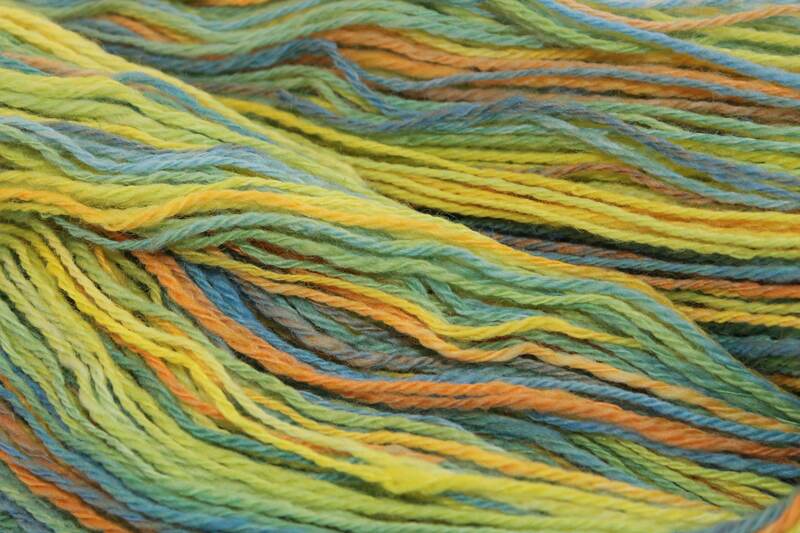 I handpaint all of my fiber using Eco Friendly dyes and I set the color with steam and Citric Acid. 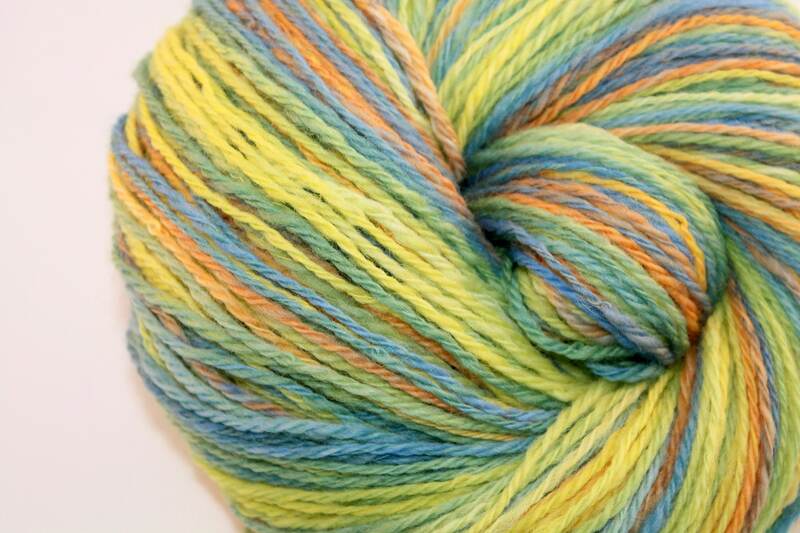 I carefully mix all of my colors to create the colorways you see. 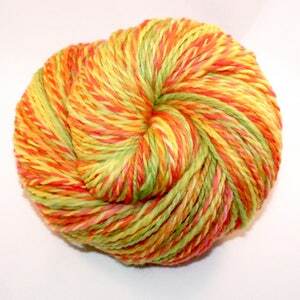 All of the fiber is spun by me on my Ashford Traveler or my Ashford Elizabeth spinning wheel. Arrived today. 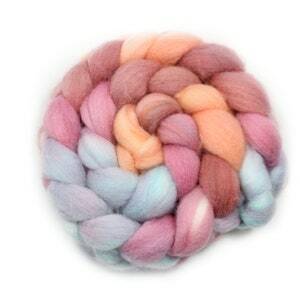 Good packaging and very pretty yarn. 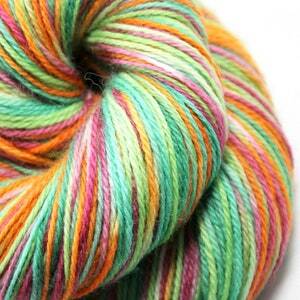 This is going to go great with my lime green llama yarn.